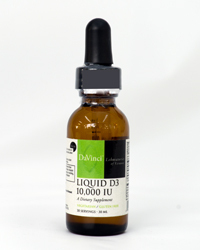 Magnesium plays an essential role in over 300 enzyme reactions in the human body. All refined foods are lacking magnesium, as well as most other essential minerals. Most Americans eat a highly refined diet and are, as a result, deficient in magnesium. Magnesium regulates calcium transport and deposition into bone. It is necessary for tissue growth and development, immune system health and function, and the maintenance of normal intracellular calcium, potassium, and sodium levels. 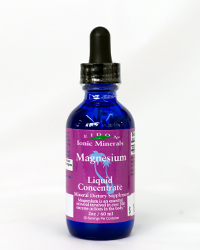 One of magnesium's critical roles is in the conduction of nerve impulses and the relaxation of muscle tissue. Calcium and potassium stimulate muscle contraction - magnesium makes muscles relax. This is very critical for heart function as you need ample stores of magnesium to allow for proper heart muscle relaxation. A lack of tissue magnesium has been implicated in cardiac failure Symptoms of Deficiency While magnesium deficiency is fairly common, it is frequently overlooked as a source of problems. The reason is that serum magnesium levels (the test most doctors use) do not reflect actual body stores of magnesium. Blood levels are kept within the normal range at the expense of other tissues. When deficiency does occur, it is usually due to excessive loss of magnesium in urine, gastrointestinal system disorders that cause a loss of magnesium or limit magnesium absorption, or a chronically low intake of magnesium. Magnesium elimination is increased in people who use alcohol, caffeine or excess sugar, or who take diuretics or birth control pills. Signs of magnesium deficiency include confusion, disorientation, loss of appetite, depression, anxiety, muscle contractions and cramps, tingling, numbness, abnormal heart rhythms, and coronary spasm. Magnesium deficiency can also precipitate headaches, including migraines, muscle cramping and nervous twitches and tics.